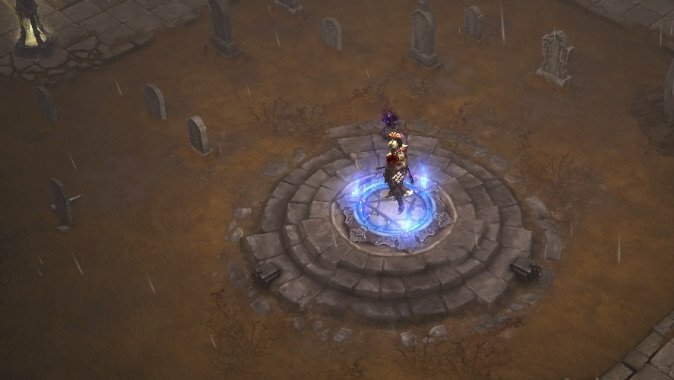 Know Your Diablo Lore: What is actually happening in Diablo 3? NEXT | Is a level squish inevitable? I’ve had people ask me for a round up of the plot of Diablo 3 for a while. 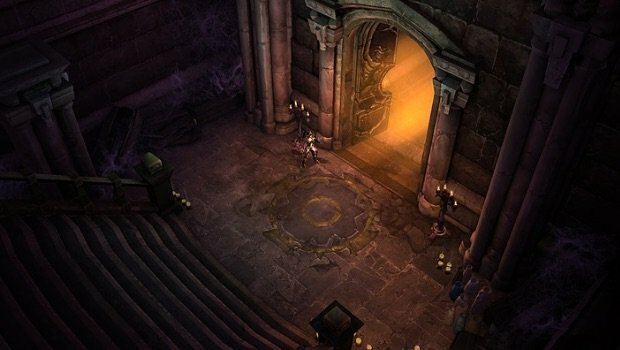 I’ve done quite a few posts that touch upon it and discuss parts of it, but I’ve never sat down and just written up the game’s plot and story, and I figure if it works out I could go back and do the same for Diablo 2 and the original game. 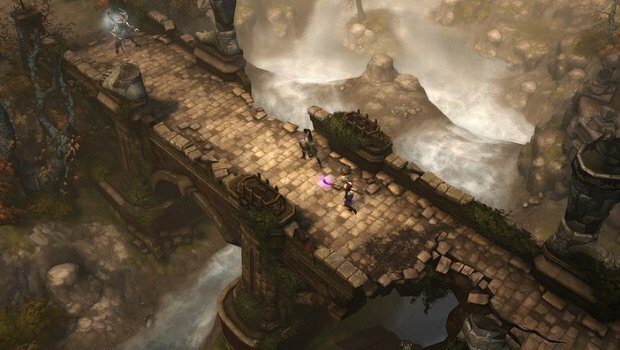 Doing Diablo 3 will take more than a single column, so today’s will be the first. Part of the surprising difficulty of this is the fact that the game is written so that the main character — the one you’re playing as — can be one of many different people. The story has personal touches for each class, but at the same time all the main beats have to be things that can happen to a Crusader from the swamps to the south, a Barbarian from the frozen north, and so on. So by necessity I have to elide a few things and keep the discussion of the nominal protagonist a touch vague. I’ve played through the game on a Barbarian, Crusader and Monk, so those are the perspectives I’m most comfortable with. But I’m deliberately trying to keep it more general. The Nephalem can be many different people but the same basic story happens to them. Before the game starts, events in the High Heavens lead to a crisis point. We observe the aftermath of those events and even see them in flashback near the end of the first act, but they’re so pivotal I want to talk about them first. In Diablo 2, Tyrael used his sword El’druin to destroy the Worldstone, and the resulting explosion utterly annihilated his physical form. It took him decades to reform himself in the High Heavens, and when he did he was almost immediately challenged for his actions by Imperius, a fellow member of the Angiris Council. Denying the council’s ability to judge him, Tyrael tore his own angelic armor off of himself, rejecting his former nature and becoming a mortal being. This act caused him to fall from the Heavens and crash to Sanctuary in a ball of fire, a portent so bright and terrible that those which witnessed it called it the Fallen Star. The impact of Tyrael’s landing caused his power to leak out into Tristram Cathedral, and those that died an unjust death at the hands of Diablo and those the demon controlled or influenced rose from their uneasy graves to wreak havoc. 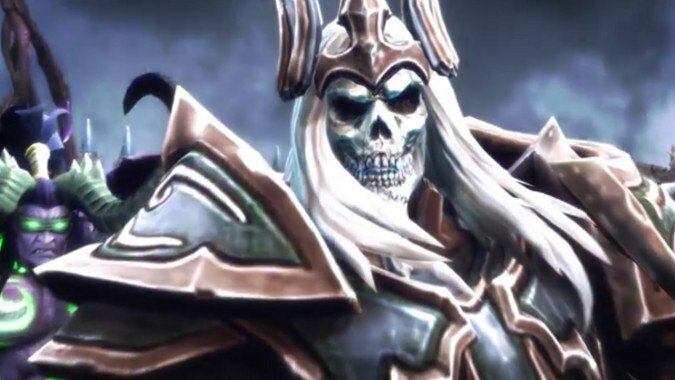 This included the spirit of King Leoric, who had been twisted into an abhorrent Skeleton King by Archbishop Lazarus and the Archbishop’s master, Diablo himself. Again the Skeleton King walked Sanctuary, and again the dead rose to follow his malefic will, soon menacing the nearby township of New Tristram. 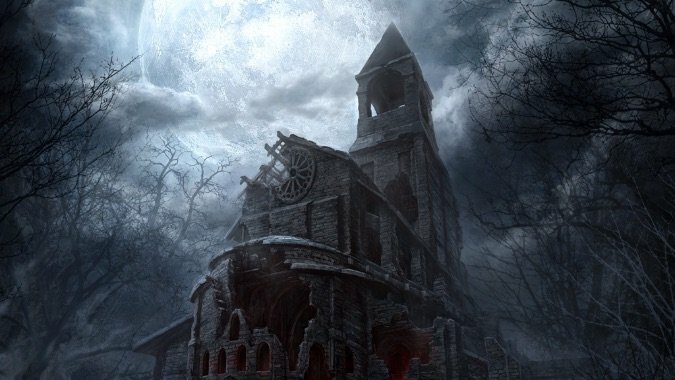 At that point where the people of New Tristram were trapped by walking corpses and about to experience what The Walking Dead would be like in a medieval setting, a stranger to the town arrived seeking the Fallen Star that had hit Tristram Cathedral. Said stranger destroyed several waves of undead monstrosities on their way to the village, earning admission from Captain Rumford at the gate. This stranger soon meets Leah, the ‘niece’ of Deckard Cain, who just barely managed to escape the Cathedral and seeks to go back to rescue her uncle. After a trip to the ruins of Tristram destroying the Wretched Mothers that were responsible for the undead menacing New Tristram, the stranger decides to accompany Leah on a trip to the cottage of her mother, the witch Adria. It was the last fallback position for Captain Daltyn, Rumsford’s predecessor as leader of the New Tristram militia. Leah never knew Adria or who her father was. After dispatching Captain Daltyn from his undead state, journals belonging to Adria were found, and the stranger told Leah to study them while they moved on to the Cathedral to find Cain. The trip through the Cathedral was challenging — its many layers swarmed with the walking dead. The stranger proved more than a match for the ceaseless nightmare horde and soon discovered both Cain, and the being responsible for the attacks on Tristram — the horrific Skeleton King, the risen shade of King Leoric still possessed by the madness inflicted upon him by Diablo years earlier. After destroying the skeletons threatening Cain’s life the stranger helped him escape and together they made their way to New Tristram. While they now knew what they were facing, Cain revealed that it wouldn’t be as easy as just marching down to find and destroy Leoric’s restless revenant. In order to open the way into the depths of the Cathedral, the same crown once used to seal Leoric into the depths now needed to be found and restored. This would require the services of Haedrig Eamon, the local blacksmith and the grandson of Chancellor Eamon, the one who used the crown to seal Leoric away in the first place. After finding Haedrig and aiding him in putting down those townspeople infected by the bites of the walking dead — including his wife, Mira — he told them where to find the shattered crown of Leoric. Namely, in his grandfather Chancellor Eamon’s tomb. After a bit of exploring and the plundering of nearby tombs, the stranger found the one they sought. Chancellor Eamon’s shade was not willing to allow the crown to be repaired and attacked them, hoping to prevent Leoric’s return. Since Leoric had already returned and the crown was needed to reach and stop him, the stranger ultimately was forced to destroy Chancellor Eamon to claim it. Doing so, they returned to New Tristram, where Haedrig repaired the crown for them and then offered his services as a Blacksmith to aid the stranger as they sought to defeat the evil menacing the town. Armed with the means to enter the depths of the Cathedral, the stranger made their way through a host of horrors seeking a final confrontation with Leoric. An encounter with a trapped Templar named Kormac soon saw the man joining the stranger, and together they fought their way deeper into the depths. The signs of the Fallen Star’s impact were visible throughout their descent, as it seemed to have blasted itself deep into the bowels of the place that once held the essence of Diablo himself trapped in a soulstone. Demons and the walking dead rose up to stop their march, along with strange cultists like the ones who’d trapped Kormac and broken the will of another Templar, Jondar. But none of these could stop the stranger, determined as they were to face Leoric. Indeed, upon reaching the fallen king’s body and placing the crown upon its brow, the stranger engaged in an epic battle with the Skeleton King, one that saw the fallen king summon waves of dead to his side. But in the end he fell, broken by the stranger. The path to the Fallen Star was left clear, and the stranger descended to discover what had awakened all the dead in the cathedral. They were most surprised to find that it was nothing evil, no great demon or fiend of the Hells, but rather simply a man. Next week, we’ll cover the story of the Fallen Star, how Cain met his end, and the discovery of the stranger’s true nature.